If you are a Facebook member, cruise on by and click on Become A Fan! If you are a member of Myspace, add us as a friend! This Week In Science is a 1 hour weekly science/technology radio news show broadcast on KDVS 90.3 FM on Tuesdays 8:30-9:30AM PST. The weekly program is also available in podcast form. KDVS is a public radio station and, as such, must do some fundaising to generate revenue. 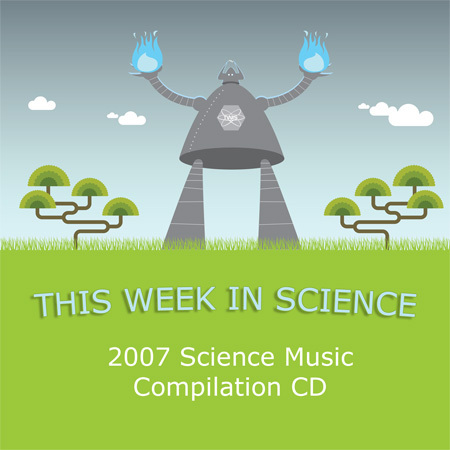 One of the items TWIS makes available is a CD compilation of science related songs. The Flying Fish Sailors song “The Flu Pandemic” is featured on the TWIS 2007 Science Music Compilation CD along with many other funny and geeky songs by such artist as The National Pool , Film Extras, The Exhibits, Phil Thompson, Sudden Death and Mike Garfield, Test Pilots, Magovista and MC Coffee Mug.